New Kids on the Block will play at the TD Garden. It really is the ’80s all over again. New Kids on the Block announced Monday morning that their upcoming tour will feature iconic pop and hip-hop acts Salt-N-Pepa , Tiffany , Debbie Gibson , and Naughty by Nature . 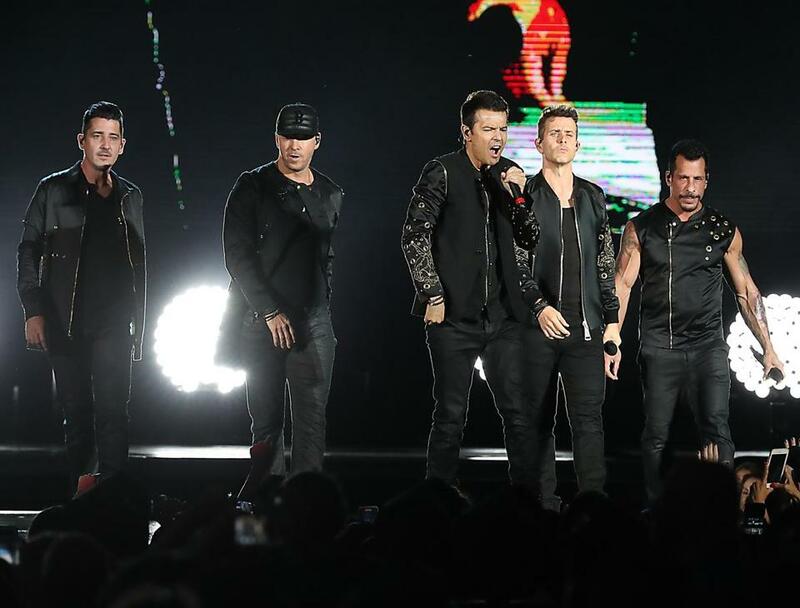 All five NKOTB members — Jordan and Jonathan Knight , Joey McIntyre , Donnie Wahlberg , and Danny Wood — unveiled the highly anticipated lineup during an appearance at the “Today” show plaza. The 2019 MixTape Tour will visit 53 cities throughout North America next summer. Tickets will go on sale to the general public on Friday at 10 a.m., but fan presale tickets will be available Tuesday morning. NKOTB and company will make two New England stops on the MixTape tour. They’ll play the TD Garden on June 28, 2019, and Mohegan Sun Arena in Uncasville, Conn., on July 3, 2019.